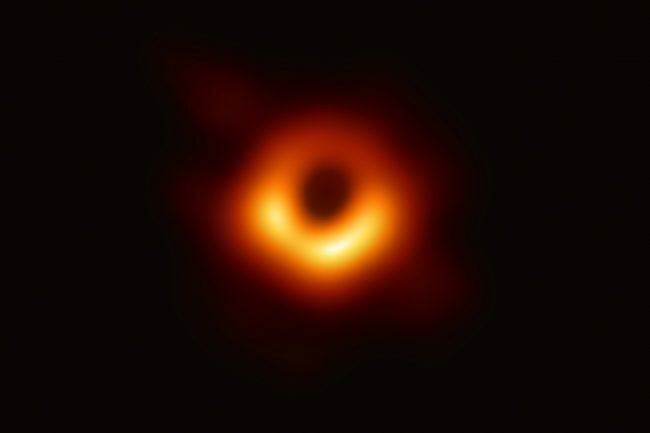 On Wednesday we saw the first photo of a Black Hole, a force in the Universe so powerful that not even light can escape from it. Before this photograph no one even knew what a Black Hole looked like. Might I add, this photograph is of a Black Hole over 55 million-light years from Earth, in a distant galaxy far outside the Milky Way. It takes eight minutes for the light to travel for the Sun to our planet. This Black Hole has a mass 6.5 billion times bigger than the Sun. Can we stop for just a moment and talk about the fact that despite all the nonsense going on in the world, in particular the United States, despite the number of people clamoring to eschew science, critical thought, and/or intelligent debate, and despite the hype of people that believe the Earth is flat or that vaccinations are bad for our civilization, we still live in an age where we have figured out how to photograph something 55 million light years away from us? I mean, how awesome is that? Flipping through the various news source on the subject I did run across on idiotic Slate article where the author complained about the photo being fuzzy and uninteresting. Uninteresting for the uninitiated, I say. I find this photograph and the science, determination, and hard work behind it to make it happen, to be absolutely fascinating. Ever since the Space Shuttle fleet was grounded I’ve felt like many in the United States no longer cared about space exploration. The drive that took us to the stars has been replaced by Tweets, Selfies, and Orange Buffoons. This photograph of a Black Hole in galaxy Messier 87, 55 million light years away from Earth, gives me hope. Hope that we are still moving toward a Star Trek type age where poverty and war are a thing of the past and exploration of the stars makes us a better species. Forget the selfies, bring on more photos of wonders in the universe. The possibilities are endless.